Checkmarx is delighted to announce a new strategic partnership with the Eclipse Foundation. Recognized as a pioneer and leader in the Open Source software development industry, Eclipse provides developers with an integrated development platform. Today, Eclipse is used by millions of developers worldwide to provide a stable and secure development platform. Checkmarx is well known as a leader and visionary for Static Application Security Testing (SAST) solutions. 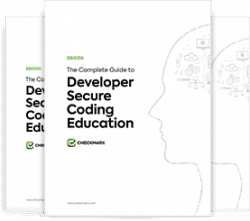 With ability to scan all major coding languages, Checkmarx automatically identifies software vulnerabilities and measures the security risks in the source code. The new On Demand solution uses a Checkmarx engine “in the cloud”; simply press scan and get results in minutes! The Eclipse/Checkmarx integration works in a way that throughout any point in the development lifecycle, Eclipse users can simply click “Checkmarx Scan” from within the Eclipse platform and a security scan is carried out in real time. “We’re excited about the launch of our partnership with Eclipse. Many of our customers depend on Eclipse as a means for code development & quality…bringing code quality together with our On Demand model for code security delivers fantastic value and benefit to an already strong community of Eclipse developers. We look forward to working closer with the Eclipse community” said Maty Simon, Checkmarx Founder and CTO. As an exclusive offer for the Eclipse community, Checkmarx is granting All Eclipse users with a complimentary 2 month full service account. Simply register and get started in minutes!